I love Spring! Everything about it is so cheerful and full of promise. 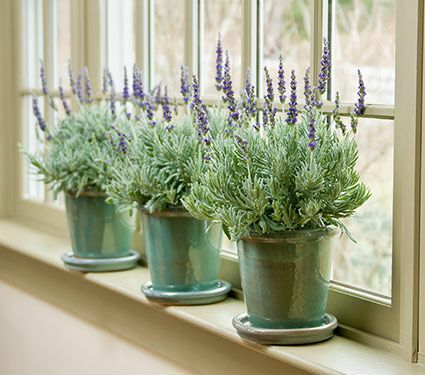 One of the things that I look forward to the most is planting fresh flowers in the garden, and one of my absolute favorites is lavender. Though I am usually a “white flowers only” girl, for some reason, the soft purple color and of course, that fragrance, really speak to me in the Spring. Also, it is drought tolerant so it grows really well here, even in the heat of summer. 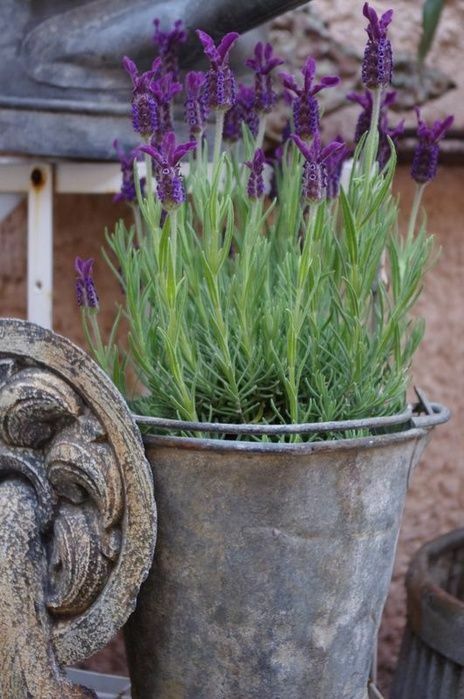 But I love it inside as well; it’s adorable in pots around the house (it looks especially good in galvanized buckets) and looks amazing on a kitchen counter! There is something inherently cheerful about those soft purple spires! 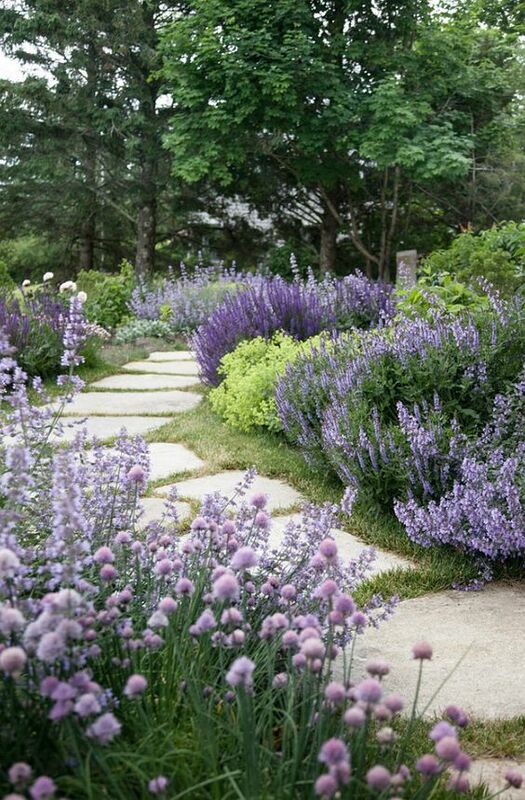 A gorgeous border of lavender in this garden! 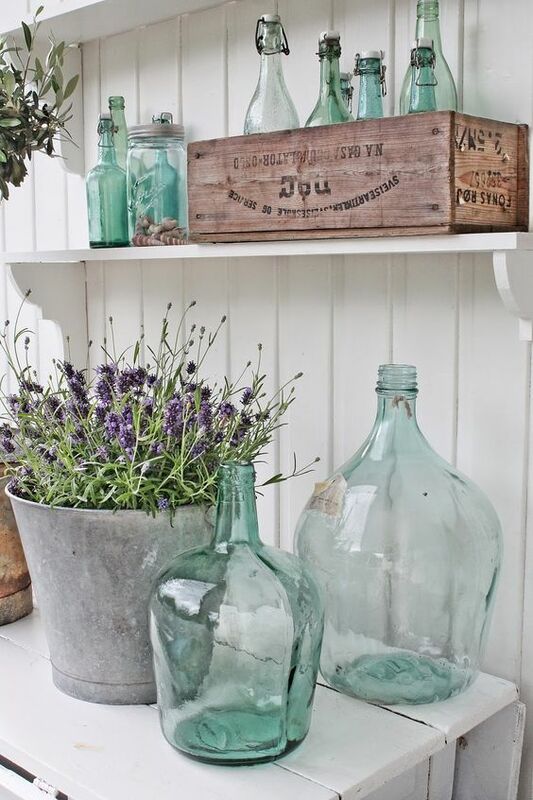 Absolutely love it in these pots on the porch! 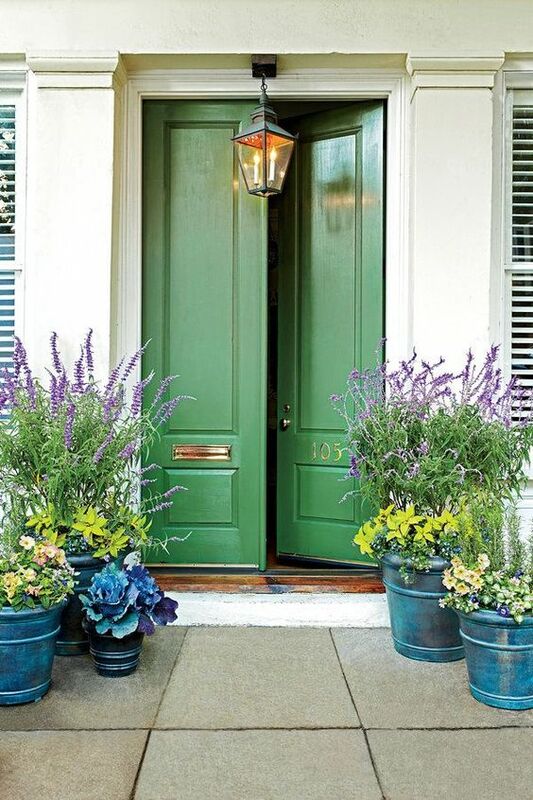 And how great is this green door?! 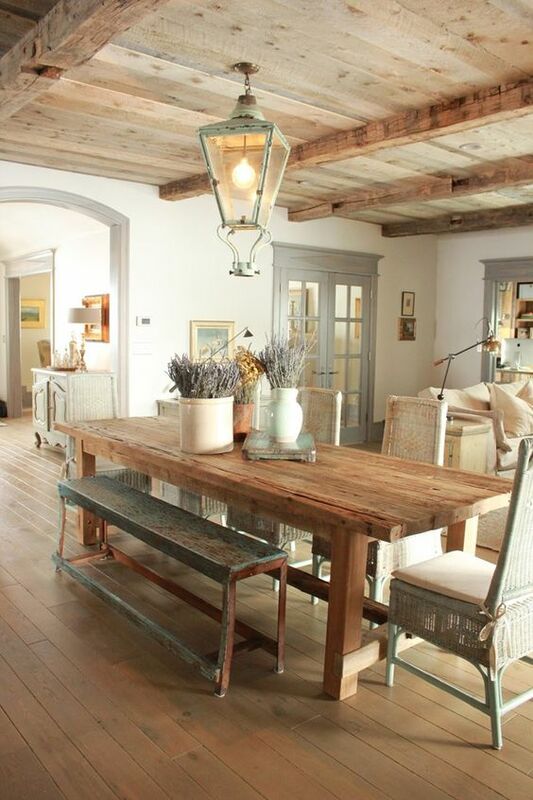 From my Spring Home Tour (here) – and I plan on adding even more! Thanks so much Olivia. I think inside they do even worse, actually. After I posted this and had bought some for indoors, those just up and died! It really needs sun and heat – which I guess is why it doesn't do well in Alaska! They do great in my yard here, though, so I'll settle for that I guess! The scent of fresh lavender is wonderful. I've never quite figured out how to get more than one season from a plant. There must be a secret to growing it here in Alaska. It says it's a perennial, but it never comes back. So disappointing for me. I'm wondering if I tried to keep it indoors that it might survive a winter. I do enjoy your photos, though. Isn't it wonderful? I love it so much! Thanks for stopping by – so glad you did! 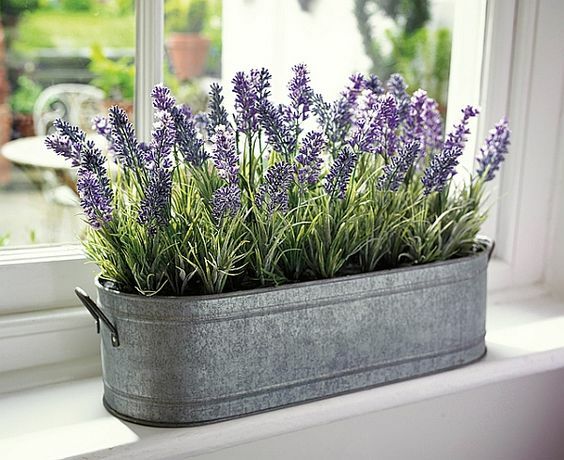 I love using lavender in my house and garden. 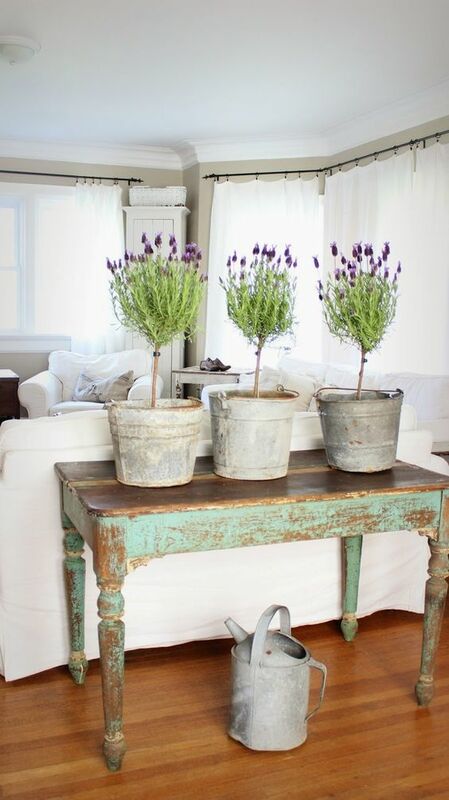 My favorite pic of yours is that wonderful green table with the three buckets of lavender. 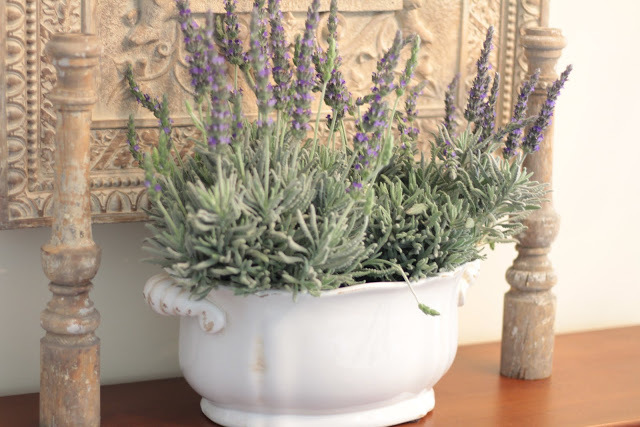 I am heading out to buy another lavender plant tomorrow morning to put in one of my old buckets. Hope Soring comes soon for you Shelley! (I feel badly you are still getting snow!) 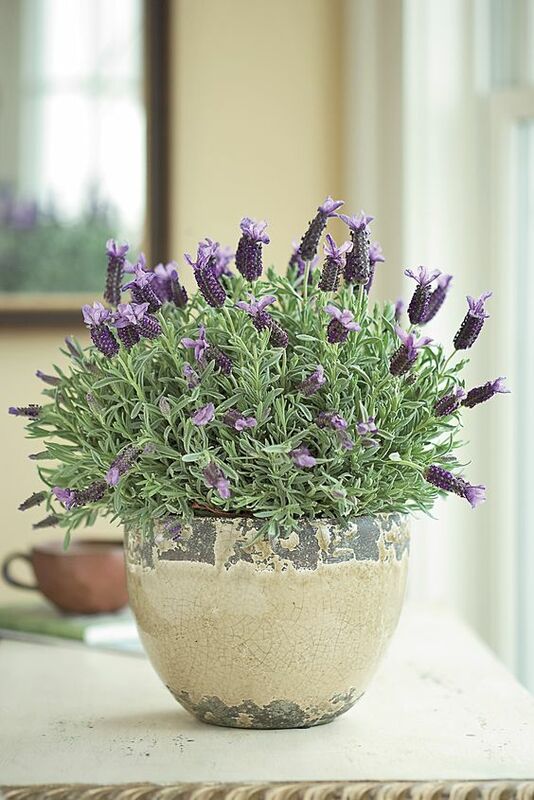 replant your lavender though – it will come back very quickly! 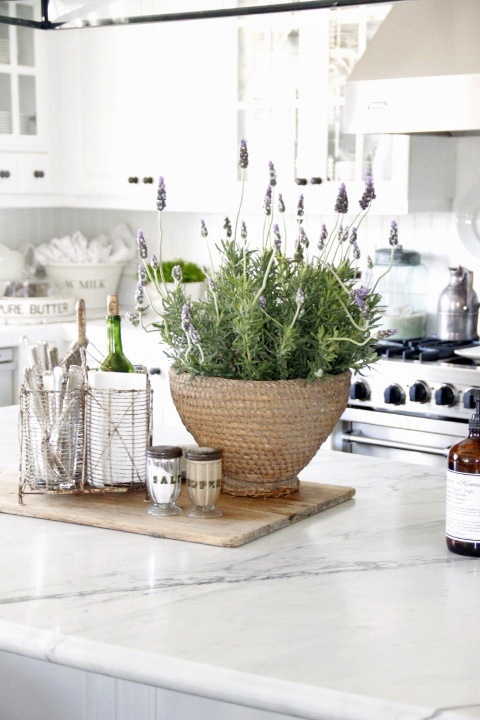 I love the look (and smell) of lavender as well! We have a bunch growing in front of our house but the last couple of years it has gotten overgrown and scraggly looking. I might have to pull it and start again. Have a great weekend! We are supposed to get snow showers again tomorrow. This is getting ridiculous! Will spring every get here?